Another year, another season, and of course another fashion week! And since the 'major' fashion week has ended, we can conclude that this season is just as inspiring as always! Despite of all the talks about the clothes; we've found our highlight of the show, oh yeah you know it well how we loveee the sets and venue design! Get ready to be inspired, scroll down to find out our favorite set designs. 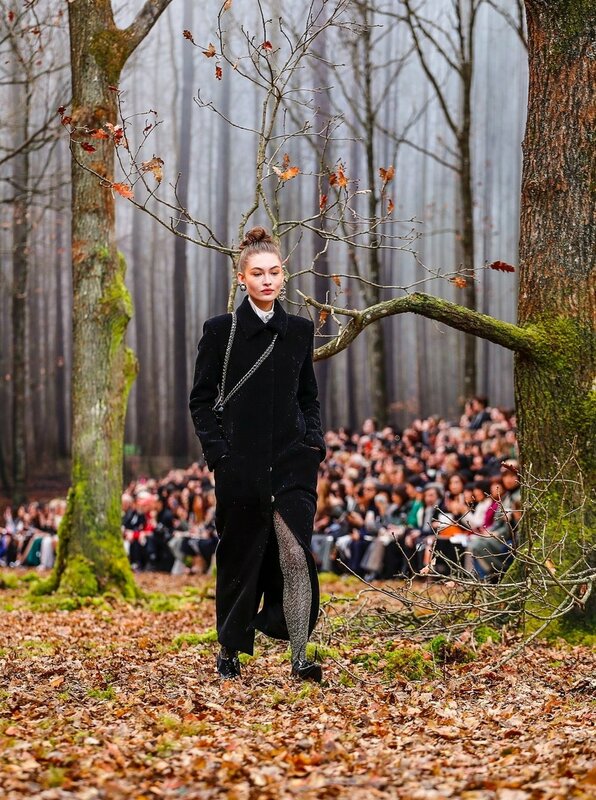 When you are the Chanel, you know you'll never disappoints your fashion week spectators; this time Chanel is taking the nature into the set (constructed an indoor autumn forest) with all the little details. "I've always loved autumn. This is a kind of Indian summer, with the leaves. It's a beautiful mood." - Karl Lagerfeld. Beautiful and enchanting; what more can we say? Taking the show in the semi-open air in a garden, "indoor and outdoor elements to make for a natural plant-scape underneath modern glass panes." Not forgetting to wrap up the design with a glistening red stones runway. The set gives off a 'home' vibes with its subtle yet minimalist venue; "white cable-knit sweaters were fitted over the back of each seat with a personalized labels (names)". Hitting two birds with one stone, a great way to make the chairs more comfortable and to personify the whole show. The concept of the set design was to "imagine 'Vigée Le Brun' painting a vision of what she wanted to be in the 21st century." Detailed art studio with lined up easels along the runway with female models. "The set facade was an homage to the baroque Oratorio di Santa Cita church in Palermo, Sicily." Catching the audiences' attention from the beginning; the gates swung open - eight drones arose, each with a Dolce & Gabbana handbag. Now that's what we're talking about, taking that fancy handbag for a spin in the air. Taking graphics to the sets - black and white banners, "a piece of art which they added easy irreverence to the space, all without evene a single drop of color. It had all the makings of a new decor trend; designed by MM Paris."